Microsoft Office Specialist India and World Championships is open and winners will be representing in Disneyland, USA. Compudon in partnership with Certiport and Microsoft is opening its gates for Microsoft Office Specialist India and World Championships for the 7th year. 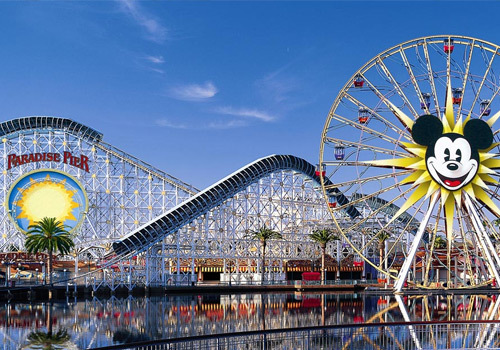 Winners will be titled ‘India Champions’ and will be representing in Disneyland, Anaheim, California, USA. • Candidate must be within the age group of 13-22 years of age, enrolled in academic institute. • Minor candidates must present permission of parents or legal guardians. • Previously applied students are not eligible. 1st position holder: USD 7000, medal of achievement, trophy, winner’s certificate and prizes by Microsoft. 2nd position holder: USD 3500, medal of achievement, and winner’s certificate. 3rd position holder: USD 1500, medal of achievement, and winner’s certificate. The official championship on Microsoft Office applications was launched in India by CyberLearning in year 2011 as Compudon 2011, which gave the opportunity to students from India to show off their skills in MS Office and compete at the global level at the worldwide contest.